This bird's eye view of Topeka is primarily an advertisement for the sale of land in a development called Belmont. It is located on East 6th Street. 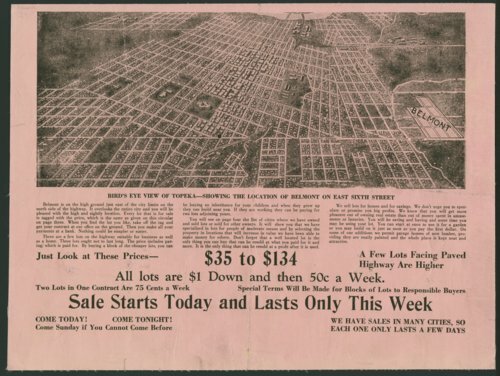 Lots sell for $35 to $134 and financing terms are described in the advertisement. The name of the company selling the land is not identified. Most of the structures in the item are too indistinct to be identified.